L 2000 x 1375px 8 Mb. XL 5000 x 3438px 15 Mb. 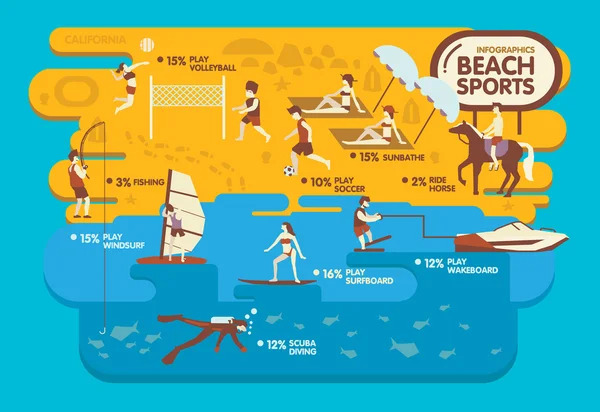 Beach sports infographics ,Summer concept , Volleyball, Soccer, Sunbathe, Ride horse, Fishing , Windsurf, Surfboard, Wakeboard, Scuba diving design.